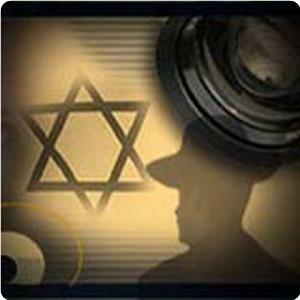 Mask of Zion: Mysterious West Bank Shootings: Random Murders Or Assassinations? 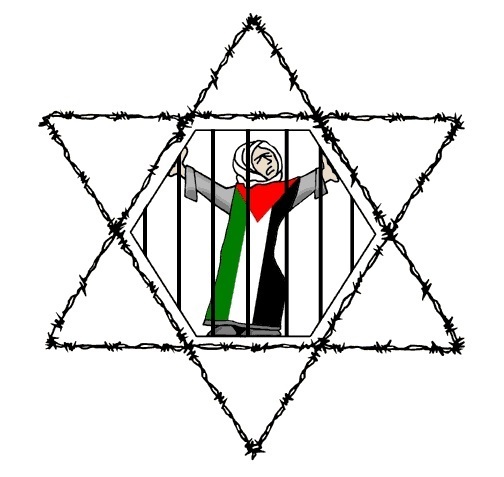 The occupied West Bank is run like a ghetto prison, identical to the besieged Gaza Strip excluding the all-out Israeli siege. It is governed by the dictator-like regime of ‘President’ of the Palestinian Authority (PA) Mahmoud Abbas, whose presidency ended in January 2009 (1), and ‘Prime Minister’ Salam Fayyad, who is unelected and totally backed by the Zionist-occupied governments of the Western world for his mythical (as in myth, for it doesn’t exist) ‘state building,’ a farcical sideshow which has cloaked his theft of Palestine’s wealth and natural resources by establishing neoliberal economics and corporate privatization through a firm of wealthy House Arabs known as PADICO (2). Because of these criminal policies, one out of every four Palestinians in the occupied West Bank is out of work, and the population is losing nearly 3% off of its wages every year (3). And in Area C of the West Bank, which represents 60% of the territory and is under direct Zionist military control, the poverty is even worse than occupied Gaza (4). This atmosphere of degradation and depravation is reinforced through sustained collaboration known as ‘security coordination’ between the PA’s militias and the Zionist entity’s occupation military. This collaboration includes torturing anyone who rebels against the authoritarianism of the Abbas-Fayyad regime, carrying out targeted killings of Resistance members, murdering civilians to generate widespread fear and subservience to the quasi-dictatorship and working closely with foreign intelligence agencies like MI-6 (5). There is nothing filthier, nothing more demeaning, nothing more detrimental to one’s dignity than working against one’s own people for the benefit of the enemy. And the Palestinian Authority represents the very essence of these three qualities of sedition. It is this sedition that was on full display on April 4th, nine years to the day of the beginnings of the horrific, inhuman Jenin Refugee Camp massacre carried out by the Zionist entity over a period of 13 days. 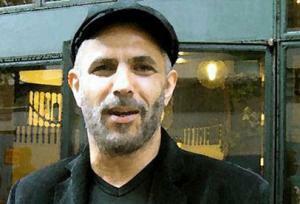 Internationally renowned activist, actor and director Juliano Mer-Khamis was gunned down in front of his wife and 10-month old son right outside of his Freedom Theater in occupied Jenin. The Zionist media, typically and vilely, reported the killing as the work of ‘masked Palestinian militants.’ The PA began an ‘investigation’ of the brutal murder and even apprehended a suspect, Mujahed Qaniri. Qaniri however, vehemently contended the allegation and denied any involvement in the heinous act. He was released soon after his detention once a DNA test vindicated him and affirmed his contention (6). No lengthy duration was needed for the revelations to emerge. The murderers of Juliano were not ‘masked Palestinian militants’ but masked Israeli soldiers, the elite Mistaravim unit known as the Duvdevan. Juliano had been murdered by Duvdevan in a high-level intelligence operation, intimately attached to a greater, global intelligence agenda of the Zionist entity. The PA cleaned up the usurping regime’s mess by staging a false investigation and deposing of all of the evidence. To their praiseworthy and honorable credit, many of those closest to Juliano and several activist committees slammed Zionism as the culprit behind the murder (7). Though the Abbas-Fayyad security apparatus eradicated much of the evidence of Israeli military intelligence plotting, it hasn’t been able to eradicate the voices of the people; Juliano’s loved ones, comrades, proteges and colleagues throughout the occupied West Bank aren’t simply demanding that the killers be brought to justice, they are petitioning, protesting and calling for real protection of the Freedom Theater and Juliano’s legacy (8). The assassination of Juliano Mer-Khamis, the incessant, booming outcries for justice after his passing and the PA’s ongoing cleanup operation at the Zionist entity’s behest are at the core of the bizarre happenings in the West Bank in the month of May. 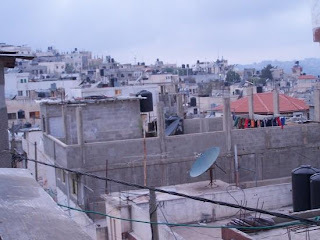 On May 6th, 30-year old Muhammad Yahya Khawaldah was shot to death in the refugee camp of al-Jalazun, not too far from Ramallah. Two weeks later, 32-year-old Omar Hussein Abu Halou was shot to death in occupied Nablus. On May 28th, 52-year old Ramadan Omar Salhab was shot three times and succumbed to his wounds in occupied Jericho. To this date, there still has not been a single suspect detained in any case. Why? Because in every instance, the murderers were masked. This, all by its lonesome, is enough to raise eyebrows in regards to the mysterious shootings. However, there is something else, something ominous that invalidates the appearance of randomness and certainly gives validation to the appearance of assassination. All three of these Palestinian men, had previously worked for Israeli intelligence as full-blown spies or assets (9). The locations of their residences (and their assassinations), Nablus, Ramallah and Jericho, were all frequented by Juliano Mer-Khamis in his humanitarian work as an activist, and were also sights of commemoration after he was gunned down in Jenin. It appears, that these men were intelligence assets in the joint operation between Israeli occupation forces’ Duvdevan unit and the Palestinian Authority’s security forces to assassinate Juliano Mer-Khamis. It appears, that these men provided vital reconnaissance to Duvdevan to keep tabs on Juliano Mer-Khamis and document the patterns of his whereabouts in the occupied West Bank, therefore ensuring a ‘successful’ operation through the utilization of the element of surprise. Hence, why Juliano Mer-Khamis was gunned down in a moment, in a place he felt most secure: in front of the Freedom Theater, with his wife and child. It appears, that these men then spoonfed a false suspect to the PA to seal the deal on the cover up. When the suspect fizzled out however, the Zionist masters of the collaborationist PA were not pleased. And it would appear, that out of this displeasure, that these men were eliminated by Duvdevan, which has dominion over the West Bank, to prevent them from revealing the operation to any institution of media and to remind them, that their services were no longer needed. The circumstantial evidence is powerful. The Israeli elephant in the room is the manner in which these men were killed: exactly like Juliano Mer-Khamis was killed by the Duvdevan unit. The Zionist entity has locked up the daughter of the former Deputy Head of Mossad for refusing to serve in IOF (10). The Zionist entity routinely tear gases and brutalizes Israeli solidarity activists at weekly protests in the occupied Palestinian village of Nabi Saleh (11). The Zionist entity’s Mossad assassinated British media tycoon, Zionist extremist, Katsa (Mossad officer) and major asset to the usurping Israeli regime Robert Maxwell in the Canary Islands for his attempts at extorting and blackmailing the agency (12). And the Zionist entity’s Shin Bet assassinated Israeli Prime Minister (and Zionist terrorist who served in the Palmach and Haganah) Yitzhak Rabin in one of its most daring operations, all for the sake of furthering the expansionist agenda and confiscation of Palestinian land (13). If Israel would kill ‘its own’ for going against its agenda, or to further its agenda, it would be naive, childish and asinine to think that it wouldn’t do the same to Palestinian collaborators. What is most tragic of all regarding the deaths of these Arab assets of Zionism, is that they most likely held the keys to the doors which would unlock the inner secrets of Juliano Mer-Khamis’s assassination. Though it is known that the IOF elite Duvdevan death squad killed Juliano and why it pulled the trigger, some integral questions remain: when was the plot hatched? Who gave the direct order? Are there hits already in place for Juliano’s family, as there are with Mossad-abducted Gaza engineer Dirar Abu Sisi (14)? Unfortunately, the answers to these inquires, and many more, died with Muhammad Yahya Khawaldah, Omar Hussein Abu Halou and Ramadan Omar Salhab. Juliano Mer-Khamis was not the first activist to be murdered (or severely wounded) by the Zionist entity with Abbas-Fayyad complicity/direct assistance in the occupied West Bank and sadly, he will not be the last. Iain John Hook, Jawaher Abu Rahmah, Brian Avery, Bassem Abu Rahmah, Tristan Anderson and Emily Henochowicz were brutalized or killed before Juliano (15), and the memory of these brave souls serves as an everyday reminder to what the unity between occupier and collaborator brings forth. The recent ‘reconciliation’ deal processed by the highest ranking officials from the Fatah-controlled PA and Hamas has been revealed not only as a sham due to the continuance of Israel-PA ‘security coordination’, but as a defeat of Hamas at the hands of the Zionist entity after multiple assaults on the illegally besieged Gaza Strip (16). Hamas officials have been uncharacteristically quiet about the deal, but it is understandable. Just prior to Operation Cast Lead, Hamas leader Khaled Mish’al was calling Mahmoud Abbas an ‘illegal president;’ he called the PA an organization that ‘stifles Resistance;’ he declared that the PA ‘provides free services to the Israelis’ and he demanded prosecution for its officials (17). Right on all counts. 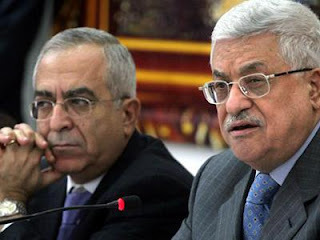 But now, Mish’al and Abbas are behaving like long lost brothers and it is nothing short of disgraceful. Wafsi Qabha on the other hand, Gaza political official and former Minister of Detainees, has had the courage to speak out against the fraudulent reconciliation deal. He’s stated with no qualms, ‘there are no real indications of reconciliation in the occupied West Bank.’ Qabha continued, ‘PA security forces are still interrogating Hamas supporters and members.’ Qabha also noted, that despite (hollow) promises from the PA, at least 35 Hamas officials and fighters remain imprisoned in the torturous dungeons of Fatah (18). The EU-US-backed PA considers anyone that stands against its criminal rule a ‘Hamas supporter,’ including political analysts, religious figures, civilians and activists. This totalitarian approach was on perfect display for Nakba Day 2011, as Fatah militias violently dispersed a demonstration in al-Zawia Square of occupied al-Khalil. Activists and students, including women, were severely beaten and cameras and phones were confiscated to prevent any reporting of the collaborationist barbarity (19). The Zionist entity’s new clandestine war on Palestine (Operation Phantasmagoria) has not only been initiated to crush indigenous Resistance, deepen its foothold through ethnic cleansing and occupation and whitewash all of its crimes in the eyes of the war criminal-infested ‘international community,’ but to disrupt the international solidarity network that is so dedicated to Palestinian liberation and self-determination. The Zionist entity is aiming to create the kind of atmosphere, where activists will not only feel threatened by the Israeli occupation, but Palestinians themselves and their communities via the brutality of Zionism’s donkeys and lapdogs, the PA, being portrayed as representative of the people. Setting aside the PA’s collaborator identity, this is immersed in baselessness and coated with racism, xenophobia and orientalism. Nobody in possession of a mildly sound, thinking mind is falling for this hasbara. But activists beware, you are being targeted. Again. Now, more than ever. Rest in peace Juliano, another brother who will be sorely missed by many people, his legacy cut short by parasites without a leg to stand on. Were I the judge, I would convict them all, including the traitors. *ikileaks page blames Hamas for this. I think that their seeming capitulation (sic), is no doubt made possible by the threat of starvation and genocide. 1. Juliano wasn't with his wife, but with the babysitter of his son; 2. You quote as information source the same Al-Jazeera you said is a Zionist funded-network. Those kind of failures are not good for your credibility. How we can believe in your analysis if it is based in untrusty sources? Firstly, nobody asked you to "believe" anything that I write, including and most especially me. Everything that I pen is meticulously sourced with a strong commitment to the truth and I expect it to be judged accordingly. Information is to be judged on its merit, no matter where it comes from, and it is always better to quote a mainstream or pseudo-mainstream source because if one is challenged by mainstream ideologues for holding an alternative point of view, one can slam them with their own sources. And also, your tone is unnecessarily accusatory. I didn't "say" that Al-Jazeera is a Zionist-funded network. I proved it, here: http://www.maskofzion.com/2011/07/kiss-of-democratic-death-israels-plot_06.html And for further validation, the Emir of Qatar, who funds Al-Jazeera, is a Zionist who recognizes the usurping entity and meets with its leaders: http://presstv.com/detail/221741.html With the financier of Al-Jazeera being a Zionist, and with the founders of Al-Jazeera being Zionists, that would make Qatar a Zionist-funded, Zionist organization, wouldn't it? And for the record, the Al-Jazeera report in question quoted from "Save The Children UK", a HIGHLY reliable source indeed; it is by no means dubious nor is it out of line to quote it. My credibility is by no means a "failure" and it is definitely not in question... yours however, definitely is. Next time, come with facts, not ad hominem tripe.